Gary Jones, VP Global Channel and Marketing for Public Security activity, IDEMIA. Biometrics used to be the realm of James Bond films, with villains removing eyeballs and fingers to gain access to safes or top secret laboratories. Today, many modern cellphones boast some form of biometrics, such as fingerprint and iris scanning. This has had the effect of making the man in the street more accepting of the technology, as well as driving awareness around its benefits. Gary Jones, VP Global Channel and Marketing for Public Security activity at IDEMIA, says it's an exciting time to be involved in the biometrics field: "In the early 2000s, South Africa was a rapid adopter of biometric access control and time and attendance solutions. Any country that has large workforces such as those found in construction, manufacturing or mining - all major contributors to the South African economy - needs to be able to manage its employees. It's essential to be able to log the amount of time an employee spends on a job so that the company can be efficient in terms of having the right number of people performing the required tasks - and you have to be able to pay people for the time they spend working." Access control and being able to audit time and attendance are the biggest drivers for a business to adopt biometrics, with safety and security being another important factor. Jones elaborates: "It eliminates the ability for people to clock in on behalf of colleagues by simply swiping their access cards. This can have serious security implications if, for instance, the employee works in a highly sensitive area performing a skilled task, and their card is handed to a less skilled colleague who shouldn't have access to that area. This could prove risky for both the employee, other employees and the business as a whole." Over and above this, there's also the convenience factor as there's no card or token to lose or forget at home. He explains: "Traditional token-based access systems require maintenance and administration. People lose or damage their cards. It costs time and money to replace them, not to mention the support staff that are needed in order to do so. With biometrics, people always have access." While South Africa was quick off the mark when it came to adopting biometrics, the United States soon caught up. Jones says: "The main difference between South Africa and the US is that American companies tend to be that much larger, so they tend to be more considered about migrating to new technology, and they want to implement forward-thinking technology that will be relevant for years to come. Because South African companies tend to be smaller (compared to those in the US), they're able to be more agile when implementing change." Jones provides a little history around the use of biometrics: "When you consider that this technology has been used for decades by some of the largest anti-crime organisations in the world, including Interpol and the FBI, the maturity and reliability of the technology becomes apparent. These organisations rely on the technology to make our world a safer place, and they do it on a massive scale. Businesses of all sizes can benefit from the same technology to manage access control and time and attendance. It is, however, important to clarify a common misunderstanding that exists in many markets; although the same advanced technology is available to businesses, in these cases, the system and information are privately and independently managed by the company itself without any link to government agencies." However, he points out that not all biometrics are created equal. "In the early 2000s, there were instances where businesses were sold biometric devices that weren't suitable for their requirements, which tarnished the reputation of biometrics, to an extent. Before deploying any kind of biometric solution, you have to consider the client's expectations as well as the environment that the device is going to be installed in. "We have implemented biometric solutions in the toughest industries in this country. Mining, construction, manufacturing and agriculture present the most challenging environmental conditions for any biometric implementation. In addition to the environment being dirty, the employees work with their hands all the time, so these sectors have provided an excellent proving ground for our offering and have helped accelerate acceptance and willingness to deploy the technology in other, more corporate, environments. "South Africa has a market that's fairly educated about the benefits that biometrics bring. The country was not only one of the most progressive in terms of rate of adoption, but also innovative in terms of types of applications, such as in residential security estates. To my knowledge, South Africa was the first country to deploy one-time self-enrolment for visitors to enter a residential estate using biometrics. "Until fairly recently, North America hasn't really had quite the same challenges that South Africa has faced or the same security climate that drove such rapid adoption in South Africa in the early stages of biometrics. However, escalating security concerns on a global scale have seen a shift in the market. Where four to five years ago, most customers were questioning whether they should implement biometrics, today the conversation is around which biometrics to deploy." Public-facing deployments of biometrics are becoming commonplace in the US, with initiatives such as trusted traveller programmes providing expedited travel to certain passengers, while health clubs are leveraging biometrics to allow members access, doing away with the membership card. All of this is making people generally more accepting of biometrics as well as being able to reap the benefits for using them. There's an overall sense globally that proactive security is becoming more and more important, says Jones. Whereas locally, the market knows what works and how to deploy it, North America is looking further ahead to the next generation of biometrics. Frictionless biometrics allow people to maintain their pace of motion and pass through security points with minimal inconvenience yet maximum security. A simple wave of a hand across a scanner is sufficient to authorise the person's access. Jones says: "The evolution of the technology over the past five years has substantially increased due to processing power and improvements in imaging capabilities. Traditionally, to capture a fingerprint, the user had to touch a sensor. Now we're able to acquire and analyse fingerprints in 3D, which is faster, more accurate and convenient than previous technology." This next wave of biometric technology is being adopted by major users in North America, particularly in the financial, retail and education sectors, and for data centre access. "This is an important conversation to have with clients," says Jones, "as not only is this more convenient for the user, it's incredibly accurate." More people are able to access the facility faster, therefore optimising the use of space, and improving productive time on site. And while the technology is more expensive, as it's more complex and powerful, the return on investment is easily justified because of the benefits reaped in terms of throughput and productivity. The financial sector is considered one of the most rigorous environments for biometric access implementations because of the levels of security and usability required. This sector is currently leading the way in terms of what the next generation of biometric deployments should look like. 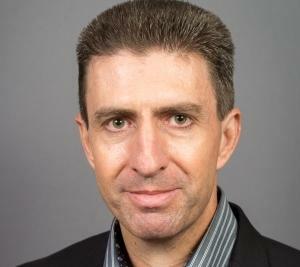 Jones says the South African market now has an excellent opportunity to benefit from extensive testing and deployments in other regions - such as North America - and consider how it can capitalise on its extensive local knowledge base to take this next generation biometric technology to South African users. Unlike other contactless biometric modalities and technologies, IDEMIA's contactless solution, MorphoWave, does not require environmental engineering to control external factors such as lighting conditions. It scans four fingerprints in 3D instead of just the one, and you get the full area of each fingerprint, instead of just the flattened surface. All of this means the system has more data to match against, making it extremely accurate.